Three apps that make speech therapy more fun! In my K-3 school setting I have discovered that students sometimes need a bit of variety to really tackle those “boring” practice drills that help refine speech production. The following reviews are a combination of student and therapist reactions to iPad apps that provide a refreshing change from the same old drill. We hope you will give them a try — we think it’s worth it! De-Articulator, by Don Monopoli, is described as “a funny electronic experience that will discombobulate your brain.” It is made for iPhone, iPad, and Android. How it works: Plug in a pair of headphones and allow the app to access “camera.” Get the strange De-Articulator machine going by hitting the red power button. Then, tap the “record” window when ready and listen to the slightly delayed auditory feedback of your own voice via the headphones while recording a video of your response for later review. Why we like it: In our therapy sessions we incorporate the delayed auditory feedback during Q & A responses to provide additional practice with slowing the speed of verbal delivery, hearing multi-syllabic words in running speech, and self-correction of sound errors. Students love hearing and seeing their responses, catching themselves forming sounds incorrectly, and fixing their errors by viewing their recordings. While a little disorienting at first, students adjust and are forced to be more careful about sound production and speed of delivery. For my students with verbal apraxia, this levels the playing field and everyone is forced to take their time speaking clearly. This app is FREE! Speech Tutor, by Synapse Apps, provides a 2-D view of a see-through head that allows you to view how the tongue, lips, and teeth make speech sounds. There are 21 consonant and 4 vowel sounds to practice. The “free” version only shows the production of the “s” sounds; but for $3.99 you can get all the sounds. It is made for iPhone and iPad. How it works: Select a sound, watch how the sound is made, and then practice making the sound in isolation or in words using a sound-wave feedback recording or video camera reflection of yourself. 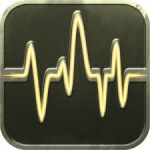 Why we like it: Students in K-3 are amazed to see that sound is really made of waves that they can see using this app! Students enjoy trying to copy my recorded sound wave production by watching and modifying their wave recording output. Some students prefer to watch themselves live via the video camera reflection on a split screen as they copy the 2-D model sound production. Either way, students engage in more intense focused practice than when flipping flashcards and they learn a little science about sound waves at the same time. 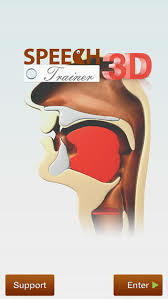 Speech Trainer 3D, by Smarty Ears, is our other “go-to” option for additional sound practice. Students can view a 2-D (side) or 3-D (front view) model making vowel or consonant speech sounds on a split screen with their own video camera reflection. In addition, an animated person provides words to practice with key sounds in the initial, medial, and final word positions. It is made for iPhone and iPad and costs $7.99. 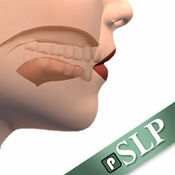 How it works: Select consonants or vowels, then select the specific sound to practice. Choose to watch 2-D or 3-D production using side or front choices, and watch yourself in the camera reflection as you copy the sound production. Why we like it: We enjoy challenging each other to make our 3-5 practice opportunities better each time. This is like the proverbial “spoonful of sugar” that helps the redundant, but necessary drill practice “medicine” to go down resulting in positive student response instead of grumbling or avoidance. Give these apps a try! Your younger students will enjoy using the iPad applications and you will see the benefits of practice using some helpful technogy! Erin Marquard has been a Speech-Language therapist for six years with the Cheboygan-Otsego-Presque Isle Educational Service District, servicing students in grades K-3. 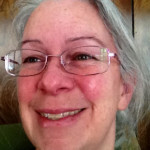 You can reach her at erinm@copesd.org. 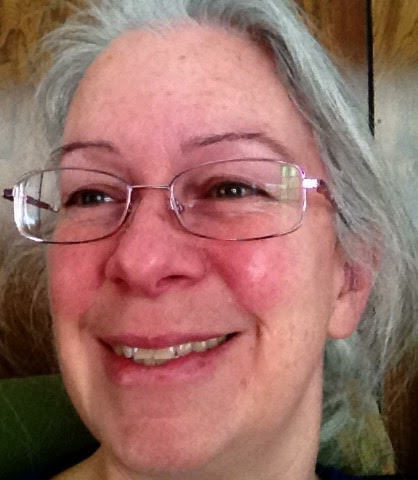 Tagged apps, Erin Marquard, iPad apps, speech therapy. Bookmark the permalink.